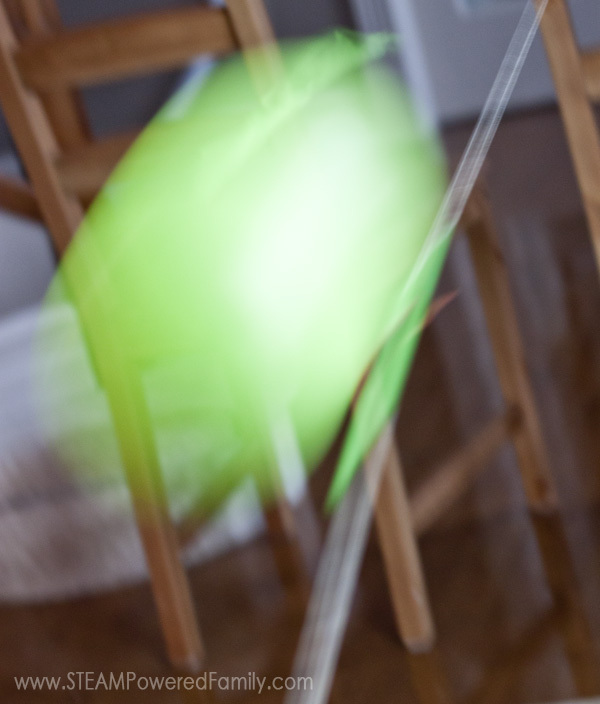 We love exploring physics and Newton’s laws of motion with balloon races. It’s an activity the kids ask for over and over again. As we have done more of them, it has naturally raised more questions. 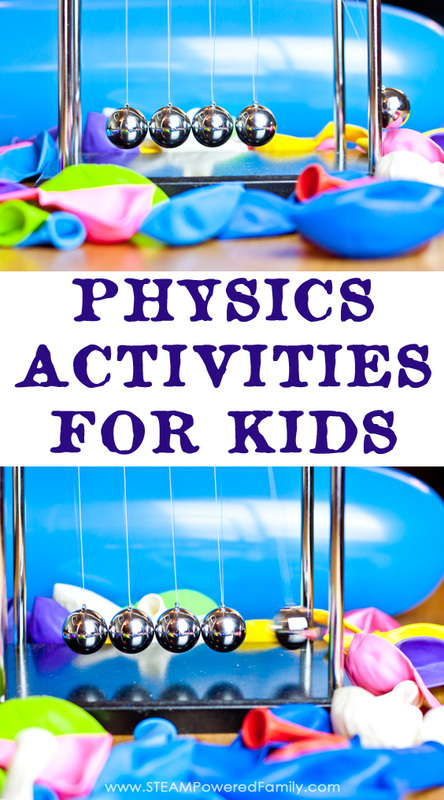 As lovers of inquiry based problem solving, we decided to set up a free form exploration of Newton’s Laws of Motion using some really fun physics activities. From our previous balloon races we learned about Newton’s Third Law of Motions which states: For every action, there is an opposite and equal reaction. But that’s the third law, there are two more! Let’s take a quick minute and chat about the science behind these balloon races. When you blow up the balloon you are filling it up with air that is under pressure. 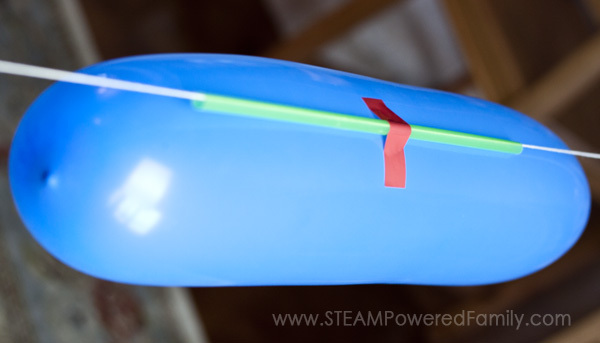 When the air escapes from the balloon the escaping air exerts thrust or force on the balloon which propels it forward. The air escapes backward – the balloon races forward. Action – reaction. Or more formally known as Newton’s Third Law of Motion. 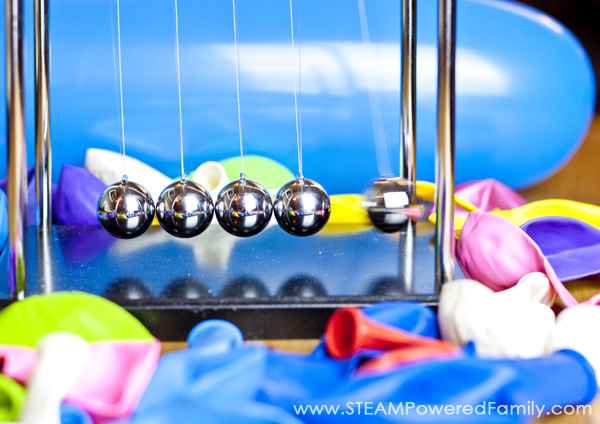 We can also see this in our Newton’s Cradle. Once we start it going, it seems to go forever. Newton’s Third Law of Motion: For every action, there is an opposite and equal reaction. But what impact can certain variables have on this reaction? Turns out these questions move us into exploring Newton’s Second Law of Motion. Newton’s Second Law of Motion: The acceleration of an object as produced by a net force is directly proportional to the magnitude of the net force, in the same direction as the net force, and inversely proportional to the mass of the object. Sadly, saying this law caused some eyes to glaze over, but all is not lost! This exploration is just as much fun as our regular balloon races. Simple put, the second law states that the acceleration of an object is dependent upon two variables – the net force acting upon the object and the mass of the object. More force means it moves faster. More weight means it moves slower and needs more force to get it moving. Ah, OK, now that actually makes sense. Of course force and mass would affect our balloon races. 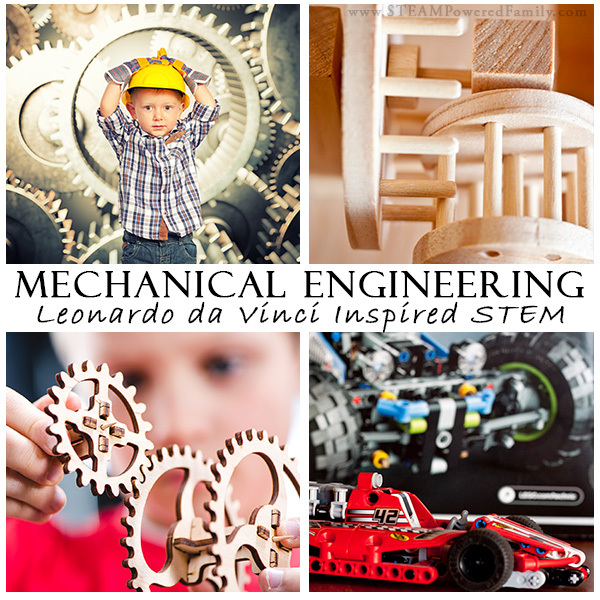 Sounds like the perfect time for a hands-on, inquiry based lesson! 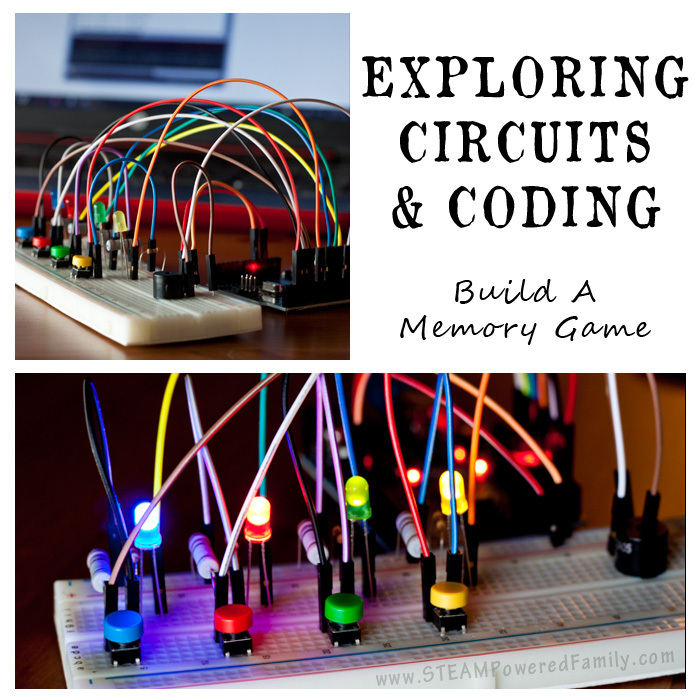 Since this activity is inquiry based, be prepared for lots of playing and exploring. The goal is to really explore and understand how variables impact Newton’s third law. First, set up the anchor points about 10 feet apart. When selecting your anchor points, choose ones that can be easily moved. Thread your string through a straw, then secure the string to the two anchor points. Leave lots of slack so you can change the distance as required. Attach your balloon to the straw using tape. For each challenge simply release the balloon to start it racing. How does volume impact distance? Change the distance between the anchor points until the balloon no longer reaches the end. What is the farthest the balloon will travel? Mark that point or record the distance. 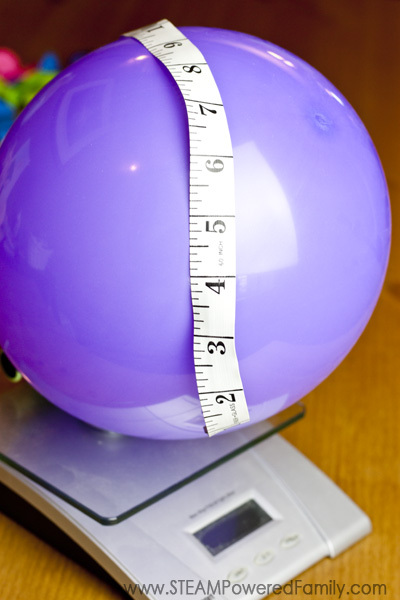 Using a fabric tape measure or a string, measure the circumference of the inflated balloon. Now race it and record the distance it traveled. For the next race change the circumference making it smaller or larger. How does it affect the distance traveled? Record the results. How does volume impact speed? Set your distance to the minimum the balloon travels. Now vary the circumference and use a stop watch to measure how fast the balloon travels the distance. Does varying the circumference, and therefore volume and pressure in the balloon, affect the speed? Record the results. How does mass impact distance traveled? In this challenge we are exploring how mass affects Newton’s Third Law. From earlier tests we know how far our balloons will travel. Keeping the circumference consistent, change the mass by adding paperclips, tape, paper, etc. to the balloon. 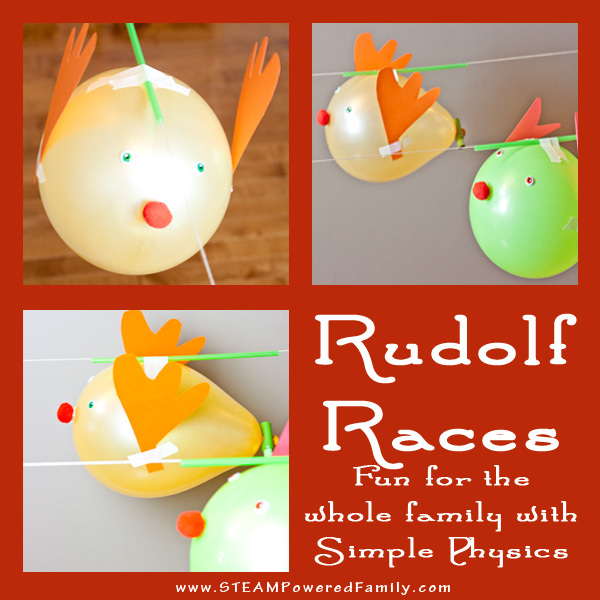 Then race the balloon and measure the distance. How does it compare with greater mass? Record the results. How does mass impact speed? Repeat the experiment but measure the speed of the balloon. Does mass affect the speed the balloon travels? Record the results. Does shape of the balloon impact speed or distance? 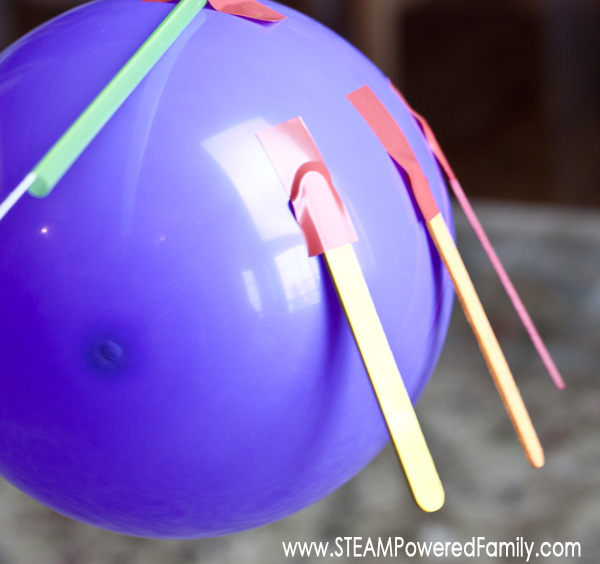 If you have different shaped balloons test how the shape of the balloon affects the results. Does a long skinny one work better than the traditional oval balloons? Try to keep the number of breaths used to blow up the balloons consistent to ensure the volume of air in the balloons does not change. Measure distance and speed to see how the results differ. So we’ve explored Newton’s Second Law of Motion and Newton’s Third Law of Motion, but there must be a first law, right? Newton’s First Law of Motion states: An object at rest stays at rest and an object in motion stays in motion with the same speed and in the same direction unless acted upon by an unbalanced force. In a way, we explored that law in this exercise too. The balloons required a force to be exerted on them before they would move long the string. As long as that clamp was left in place, the balloon was stationary. How can we apply force? 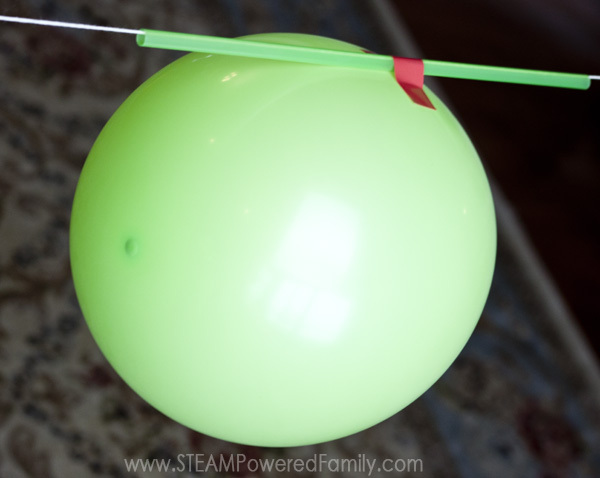 A fun way to explore this law is to challenge the students to find ways to apply force to start the balloon moving beyond the obvious one we have been using (releasing the pressure/air). Perhaps they can change the angle of the string so gravity applies it’s force. Or maybe they can blow on it. Then have them explore how they can apply force to change the speed and direction of the balloon. This activity is a wonderful way for students to practice their critical thinking skills and explore concepts that may seem challenging when simply read about in a book. Physics can be so intimidating, but this physics project presents the concepts in logical ways to help facilitate deep understanding. It also gets kids up and moving and many studies have shown how moving can help in the learning and retention of information. Perhaps Newton should have had a law of motion as it applied to learning! I think this is a fun activaty and a fun rainy day do. it deffenatl explanes the laws of iniertia and newtons laws of phisics.